It is with great sadness that we announce the passing of one of our former Ph.D. students, Bitao Liu. 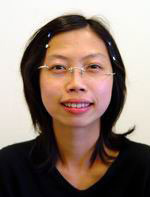 Bitao was a popular and much-loved member of the Statistics department, and she graduated in 2008 with a PhD. in Statistics, before moving on to a successful career at Affymetrix in Emeryville. The Department of Statistics offers its sincerest sympathies to Bitao's family and friends.